Endemic to the Chinese province of Guizhou where it is in decline due to acid rain. A relict species occurring only in inaccessible areas on Fanjing Shan Mountain, near Jiangkou in NE Guizhou, China. It was locally common, but many trees have died due to the impacts of acid rain. The population is estimated to number about 17,000 trees, but the number of mature trees is probably less than 2,500 (<10% of the population). This rare species has been found on Mt. Fanjing (Wuling Shan) at 2,100-2,300 m a.s.l. The climate on this mountain is cool and moist, with only a short summer season at this altitude. The species occurs there in a mixed forest with, among other species, Tsuga chinensis, Acer flabellatum, Rhododendron hypoglaucum, Enkiartnus chinensis and Prunus serrulata. Although potentially a timber tree, this species does not appear to be exploited at present. 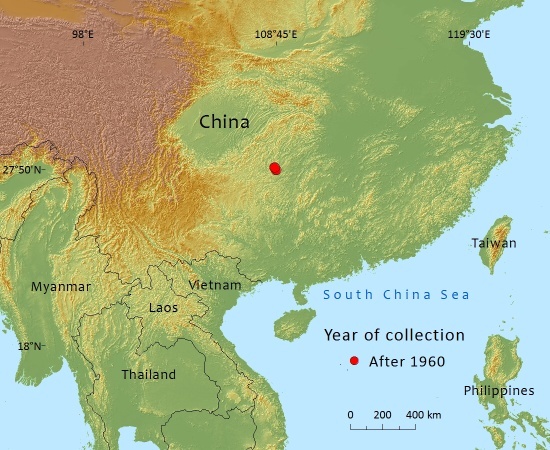 Abies fanjingshanensis' extent of occurrence is less than 20 km2, it is known from 2-5 locations (there is part of the mountain which is not impacted by the acid rain), and there is a continuing decline in the number of mature individuals. The population size is less than 2,500 mature individuals and all of these are in one subpopulation which is undergoing continuing decline. The species therefore qualifies as Endangered under the B and C criteria. Only known from a single locality with a small population in forest dominated by other tree species. Mt. Fanjing has a forest reserve which includes this species. The population has been in decline for some time because of the impacts of acid rain presumably caused by air pollution. The acid rain problem is ongoing. The entire population occurs within a forest reserve. Attempts are required to identify the source/s of the pollution which are resulting in acid rain to see if any mitigation measures can be taken. There is a botanic garden in Guizhou Province which has this species in cultivation and they have an ex situ cultivation programme underway. 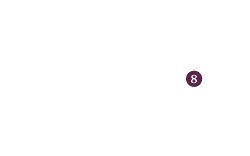 Yang, Y., Zhang, D, Li, N., Luscombe, D & Rushforth, K. (2013). Abies fanjingshanensis. In: IUCN 2013. IUCN Red List of Threatened Species. Version 2013.1. <www.iucnredlist.org>. Downloaded on 07 July 2013. Li-kuo, F. and Jian-ming, J. 1992. China Plant Red Data Book – Rare and Endangered Plants 1. Science Press, Beijing. Y.Yang,D.Zhang,N.Li,D.Luscombe,and K.Rushforth, 2015. Abies fanjingshanensis, from the website, Threatened Conifers of The World (http://threatenedconifers.rbge.org.uk/taxa/details/1004).